Staff Selection Commission has declared the result of Recruitment of SubInspectors in Delhi Police, CAPFs and Assistant Sub-Inspectors in CISF Examination, 2017 (Paper-I) on 06.09.2017 and also uploaded it on the website of the Commission. 2. 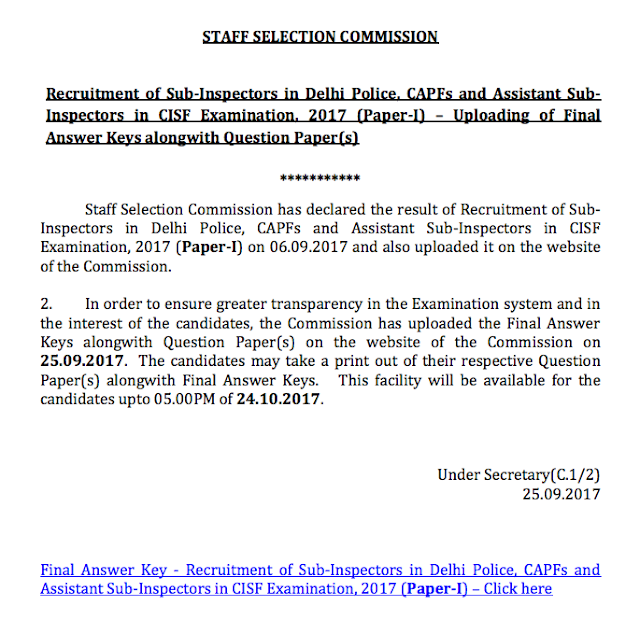 In order to ensure greater transparency in the Examination system and in the interest of the candidates, the Commission has uploaded the Final Answer Keys alongwith Question Paper(s) on the website of the Commission on 25.09.2017. 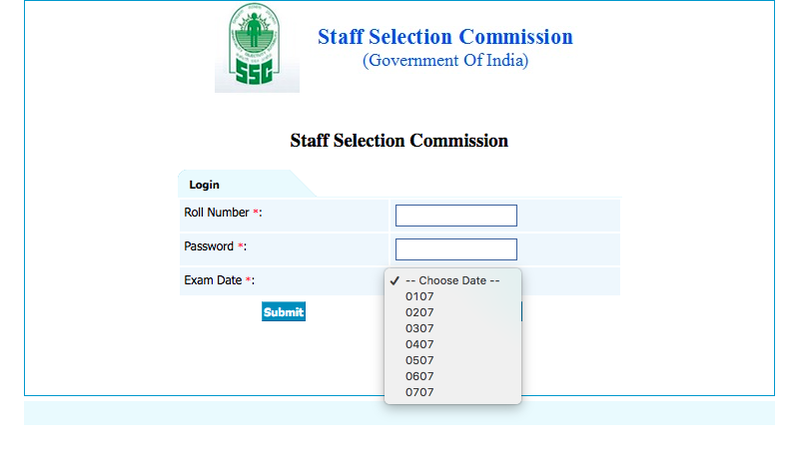 The candidates may take a print out of their respective Question Paper(s) alongwith Final Answer Keys. This facility will be available for the candidates upto 05.00PM of 24.10.2017. NOTE: You are requested to e-mail us a PDF copy of Question Paper with Revised answer keys @ Qmaths.in@gmail.com for archive of Previous year Questions paper for everyone's access as done in above link. Your Privacy will be maintained.